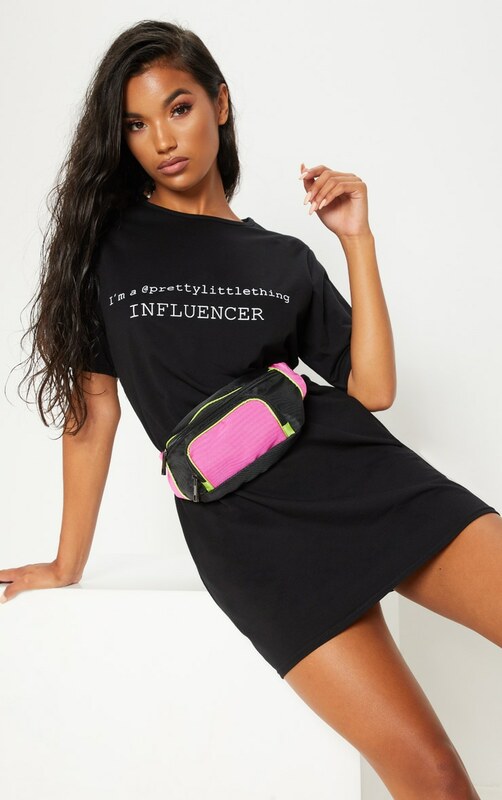 We are obsessing over slogan tee dresses this season girl. 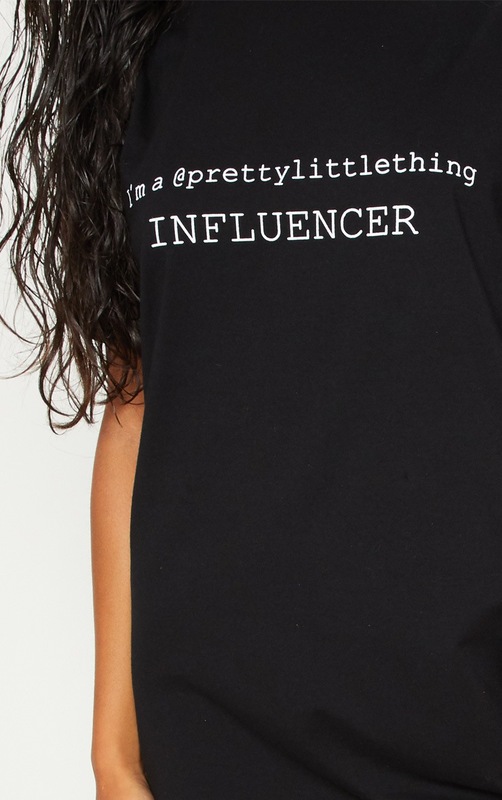 Featuring a black material with a contrasting white PRETTYLITTLETHING and 'Influencer' slogan in a loose fit. 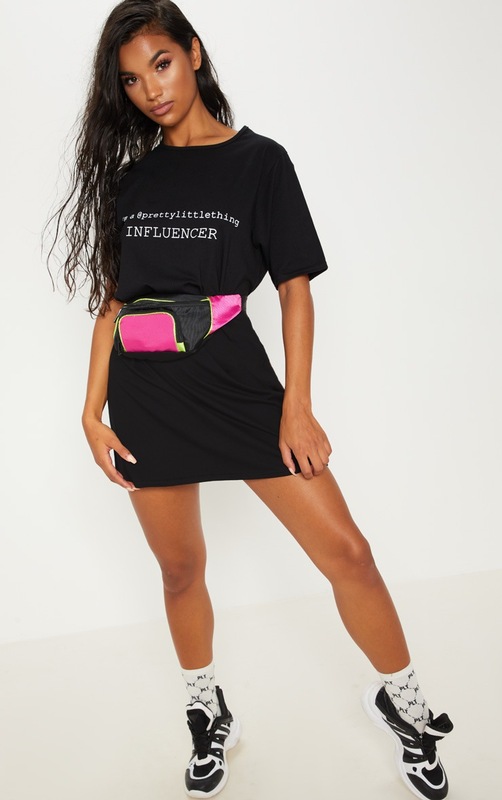 Style this dress with fresh kicks and your biggest hoops to complete the look.